J-Novel Club Forums | Slayers! 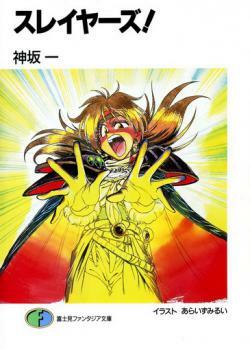 With the recent acquisition of Orphen, I can surely hope to see the classic Slayers licensed? @terabyte It's still a fun watch. I true anime classic. Would love to see Slayers released. I’m sure they’ll do another anime for it at some point, that would be when I bet it gets grabbed. Slayers is getting its first new book in 18 years! Posting to give my support for this potential acquisition/rescue. Yes, this series was originally licensed by Tokyopop, but like their other light novel efforts, they ultimately abandoned it only half done (8 of the original 15 volumes). Typical of the time, they did not attempt digital release either. As someone who went out-of-my-way to buy these years ago, I would buy these all again to, if nothing else, to get better translations than what we have. Here's a discussion and analysis of the rather odd-ball translation we got. I want to see this truly classic series get some love. The anime is still a great watch. i would go for a retranslation if Tokyo pop did drop the license. As I said before, as I enjoy Kanzaka's work, seeing Lost Universe eventually translated (same companies as Slayers) would be a dream come true. Bookwalker has a heavy sale on Slayers and other Kadokawa titles right now. Up to 70% off.